'I see this as both a great responsibility and another privilege to steer the economy toward the right direction,' Arsenio Balisacan says. MANILA, Philippines – National Economic and Development Authority (NEDA) Director-General Arsenio Balisacan becomes the first chairperson of the Philippine Competition Commission (PCC). In a statement released Monday, January 25, Balisacan has resigned from his post in NEDA, and the move would be effective by Sunday, January 31. NEDA’s Deputy Director-General Emmanuel Esguerra has been designated as OIC. “The job is a very compelling challenge that is hard to ignore. I see this as both a great responsibility and another privilege to steer the economy toward the right direction to realize all its growth potential,” Balisacan said. The Manila Times reported on January 14 that the PCC post serves as a reward for Balisacan’s contributions to the Aquino administration. Balisacan was the first chairman of the board of both the Philippine Statistics Authority and the Public-Private Partnership Center. He also served as chairman of the board for the Philippine Institute of Development Studies, the Philippine Center for Economic Development, and the Philippine Statistical Research and Training Institute. He is expected to bring his experience as socioeconomic planning secretary and his knowledge as one of the leading development economists in Asia to PCC, which was created following the passage of the Philippine Competition Act or Republic Act No. 10667, signed by President Benigno Aquino III on July 21, 2015. After more than two decades that it languished in the Congress, the Philippine Competition Act was finally signed, with a provision to create PCC, a quasi-judicial body tasked to enforce and implement the act and to ensure fair play in all businesses. 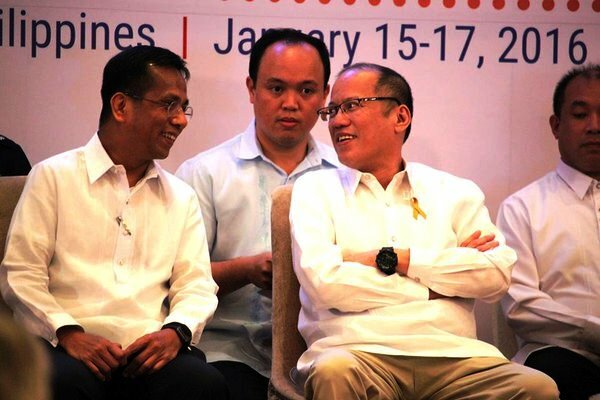 Senator Paolo Benigno “Bam” Aquino IV, co-author and principal sponsor of the measure earlier said the act will usher in a new era of doing business in the country. Similar with the Federal Trade Commission of United States, or the Fair Trade Commission of China, the PCC has the mandate to conduct inquiries, investigate, and penalize all forms of anti-competitive agreements, abuse of dominant position, and anti-competitive mergers and acquisitions, NEDA said in a statement. “Promoting fair and healthy competition among firms is a major factor in ensuring that the benefits of growth are properly shared,” Balisacan said. Those found in violation of the act will be fined as high as P100 million ($2.09 million) for the first offense, and up to P250 million ($5.2 million) for the second offense.